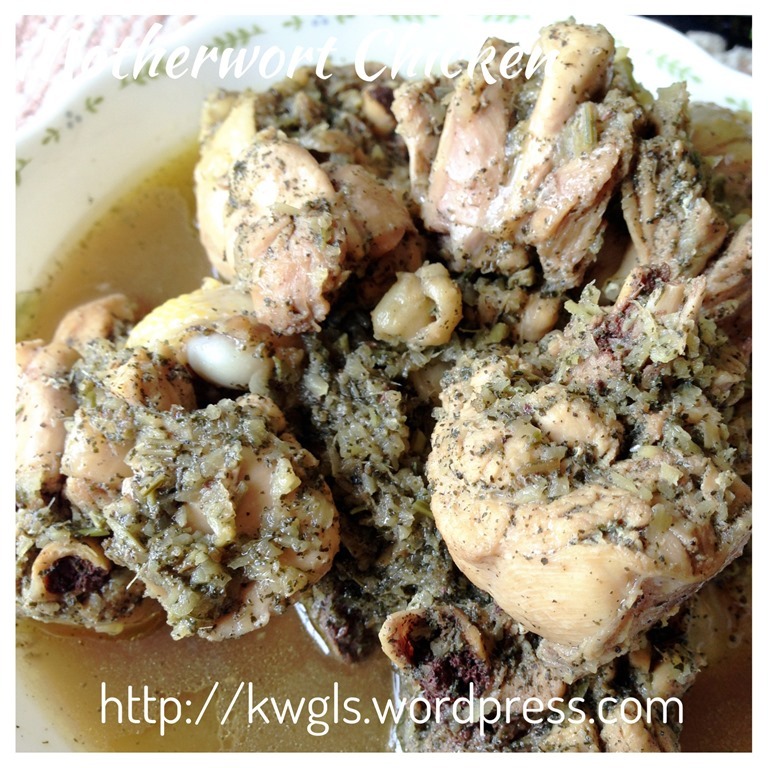 As a Sarawakian food blogger, I will not do justice to Sarawak if I do not blog this rather uniquely Sarawak cuisine., Kacangma or motherwort chicken. This is a famous Chinese Hakka confinement food, meaning food specially cooked for a lady after delivery of a baby. Chinese believed that ladies’ body is weak after delivering a baby, therefore, there is a need to replenish the body’s nutrition. The food that these ladies have will have different ways of cooking in terms of cooking methods of ingredients. 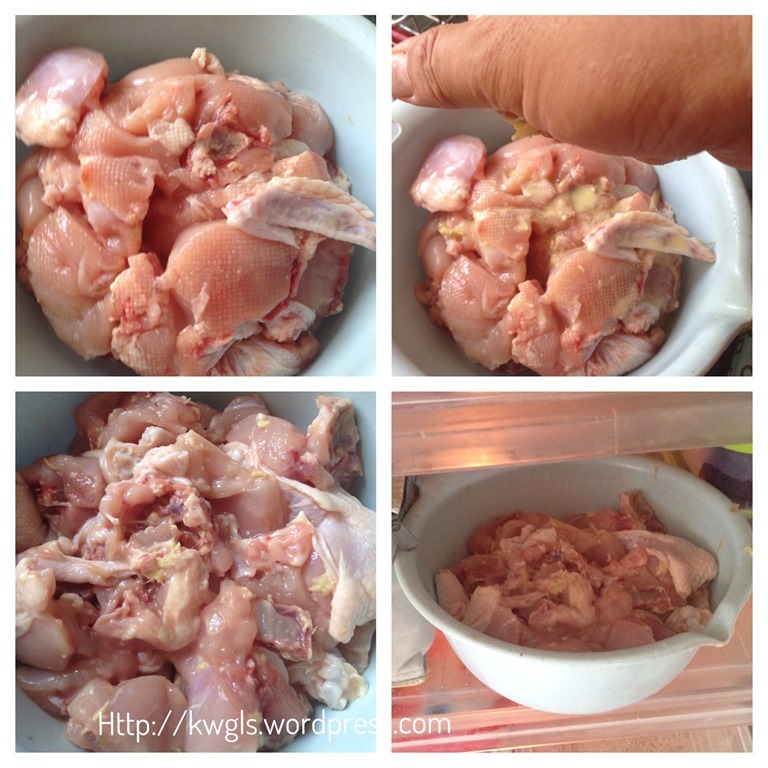 1 medium sized chicken, cut into smaller sizes. 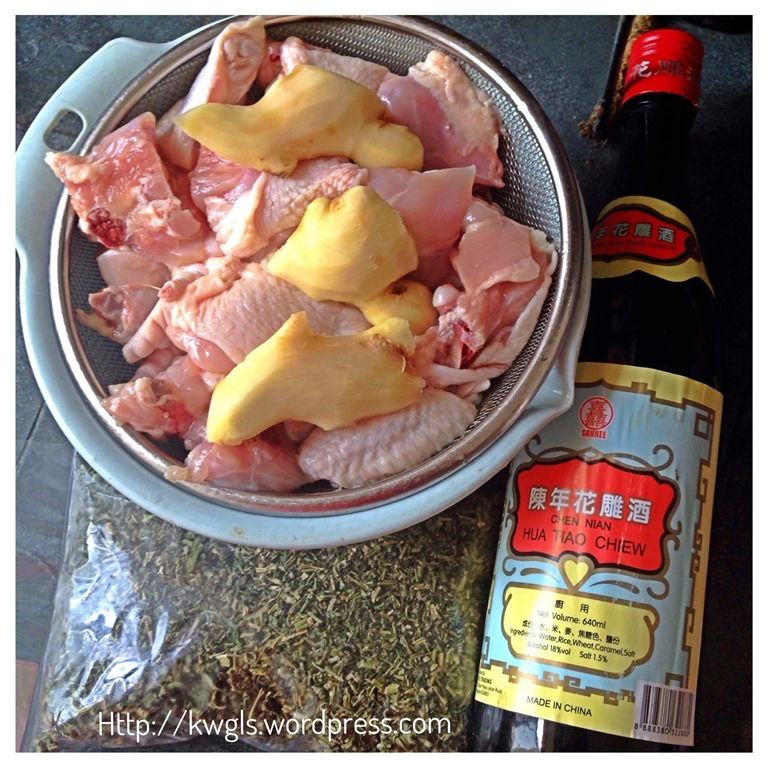 Pound the ginger and squeeze the ginger juice into the chicken. 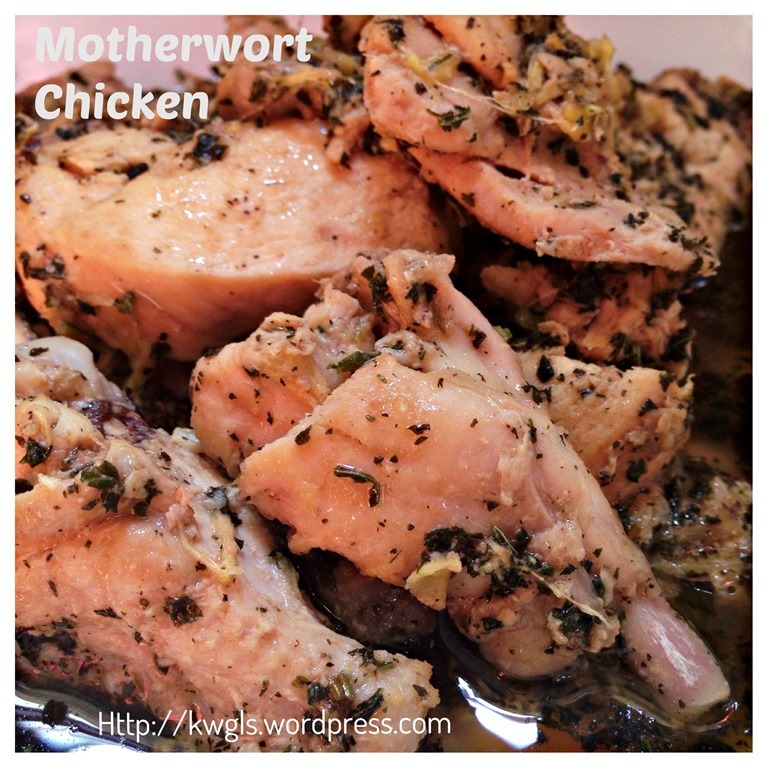 Marinate the chicken for at least one to two hours. Keep the pounded ginger for later use. 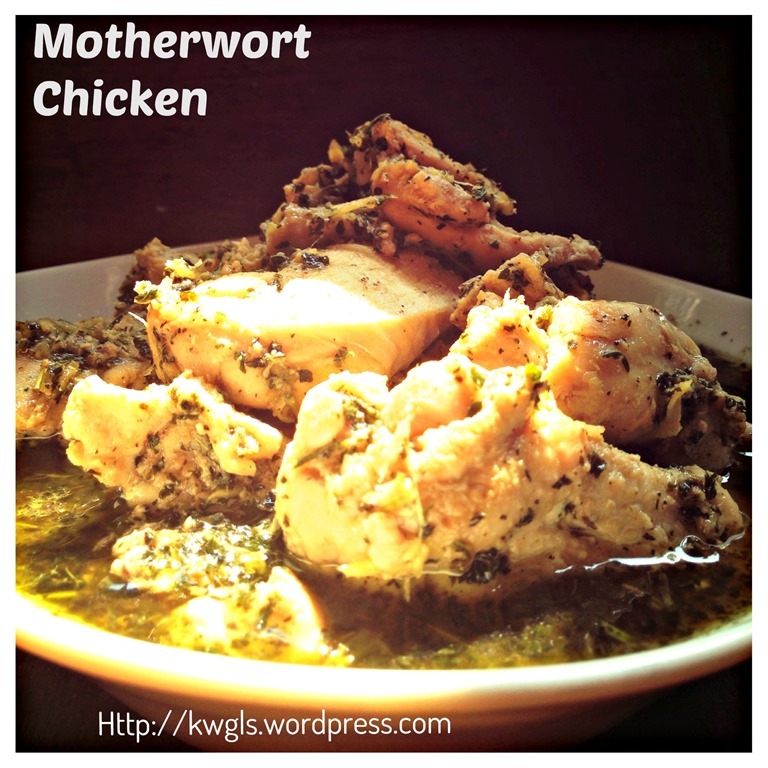 In a pan, use the smallest heat to stir fry the motherwort. Depending on your heat, it should take from 15-20 minutes until the leaves are very dry, easily broken and aroma starts to penetrate the house. 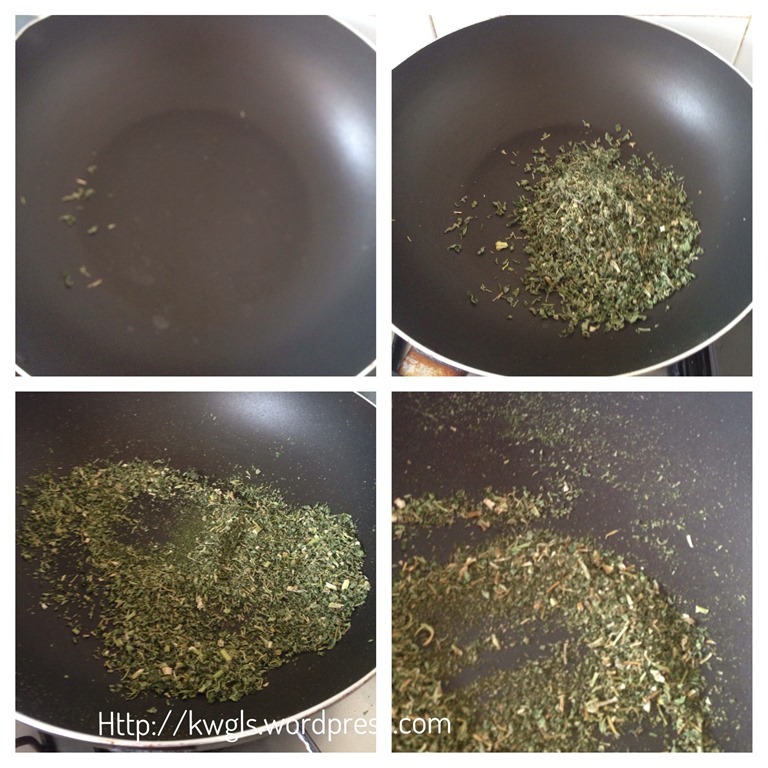 In addition, the leaves should become very fine until that it stick to the sides of the pan. 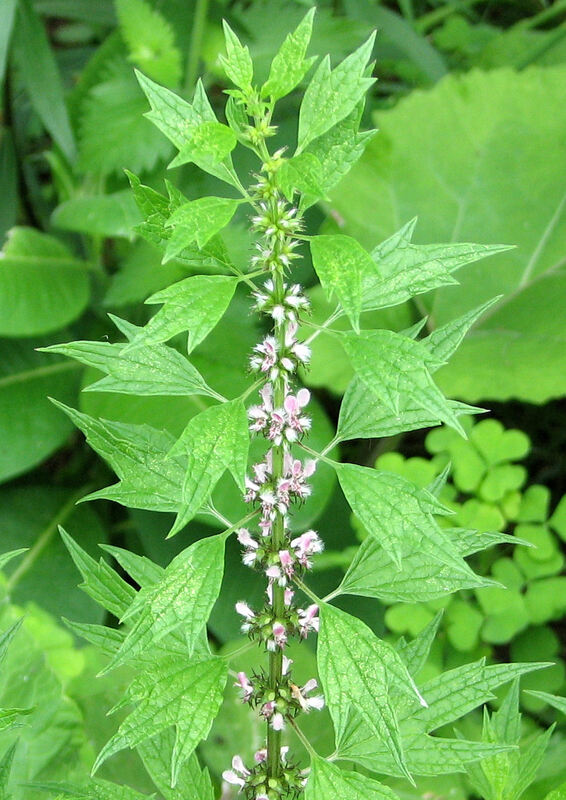 Be patience, too high heat will burn the leaves very easily and the end result is bitter taste motherwort. Therefore, patience is required. Once ready, set aside. 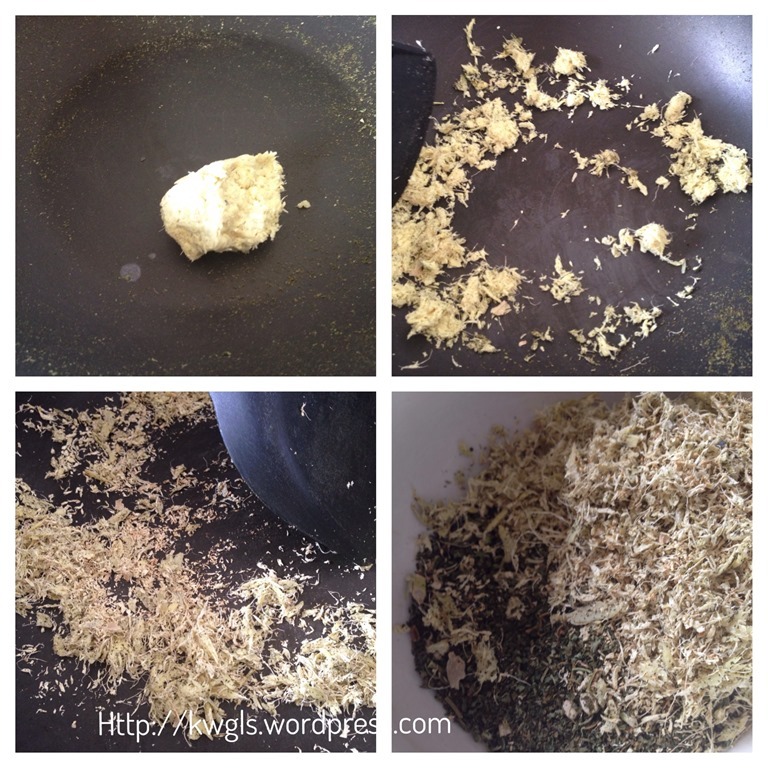 In the same pan, stir fry the minced ginger with medium heat, stir fry until it is dry and aromatic. The main purpose of this step is the same as in the above step, to make the ginger dry and aromatic. Once ready, set aside. 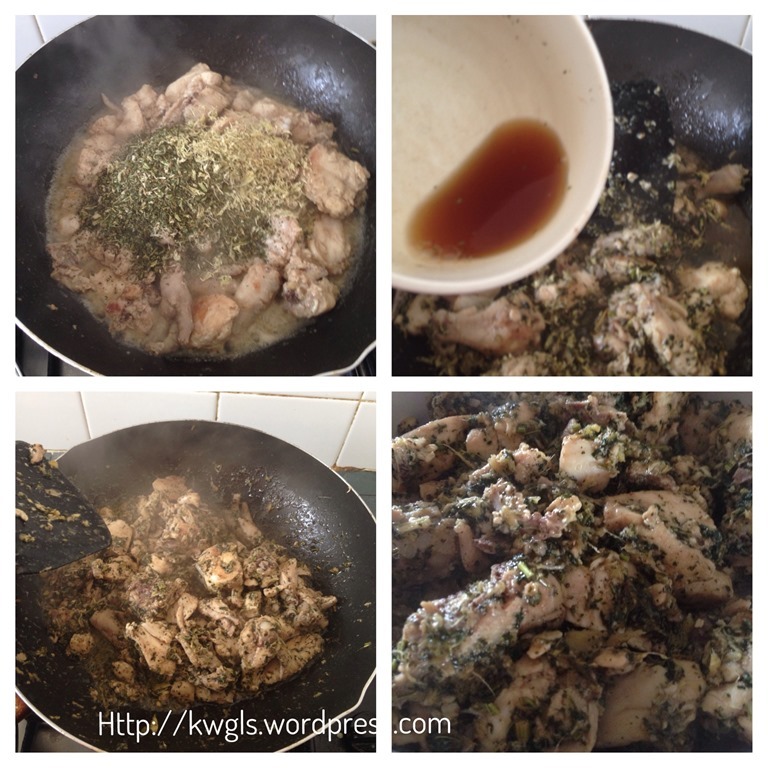 Put 2 tablespoons of sesame oil in the pan, place the chicken in the pan, stir fry under medium heat and well combined. 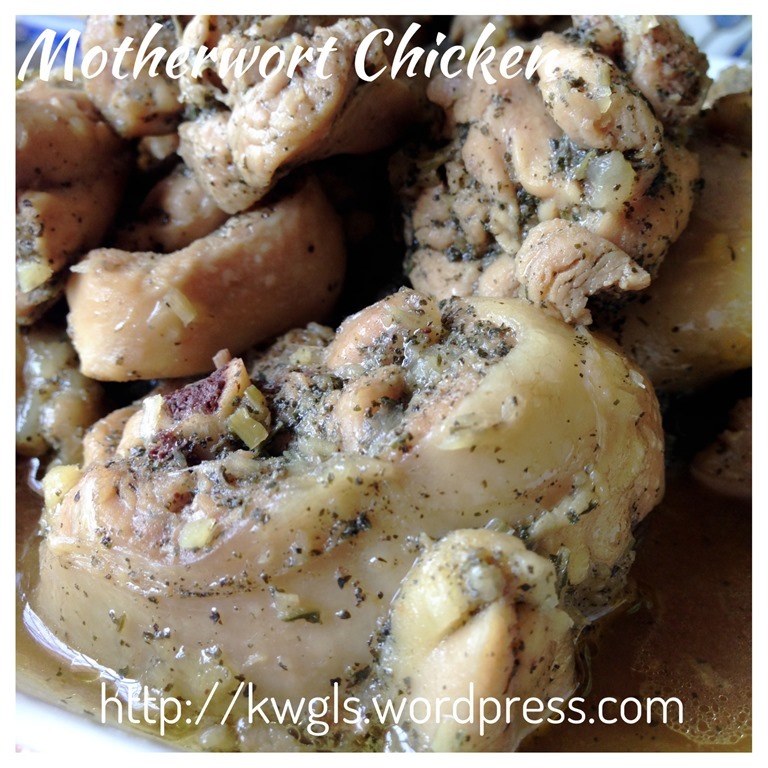 Place the lid and simmer the chicken until it is cooked and soft. Note that there is no water used in the pan frying. 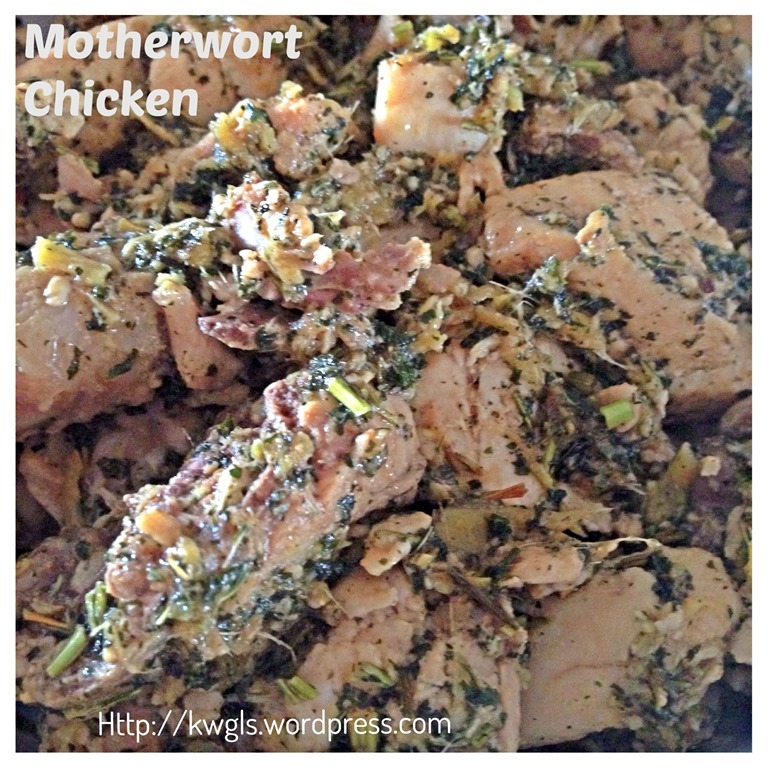 As you cook the chicken, meat juices will be secreted out and the juices simmer the chicken. Once it almost dries up, add in ginger and motherwort, followed by the Chinese cooking wine, let it simmer for another 10-15 minutes. If the wine dries up too fast, as more wine to get the gravy. From the above procedure, you may note that there is no seasoning such as salt or water being used. That is for the confinement ladies where salt is a not supposed to be added to confinement food. For normal home consumption, you can add salt and sugar to taste and replace some of the wine with plain water. 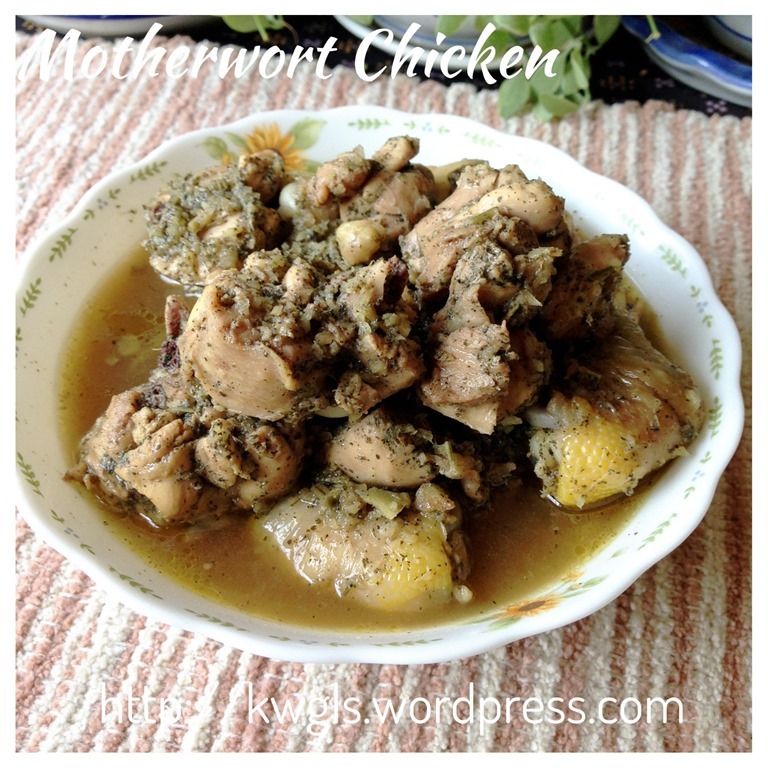 Best serve hot with a bowl of hot rice. Frankly speaking, I am issuing as this post in honour of this unique Sarawak cuisines. 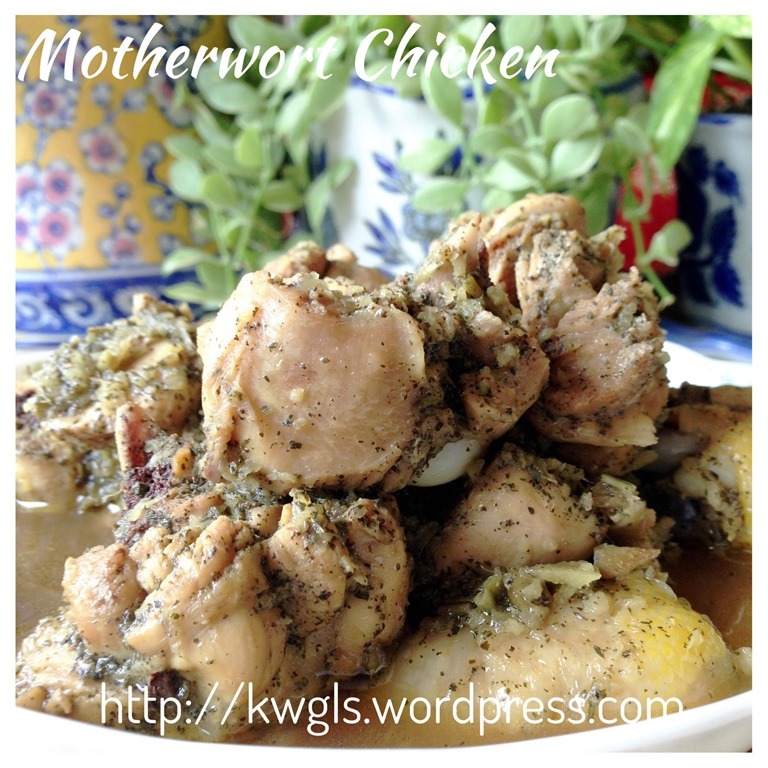 However, if you can’t get hold of the motherwort, which I presumed most readers will not be able to, just omit the motherwort and you can come out with a delicious ginger chicken wine …. However, I seriously believed that it is not a bad an idea to understand this beneficial herb consumed by confinement ladies in Sarawak , and such benefits are supported by many scientific studies..… As to why it is not popular in other parts of the region, the question remain unanswered. Hope you like the post today. Cheers.. 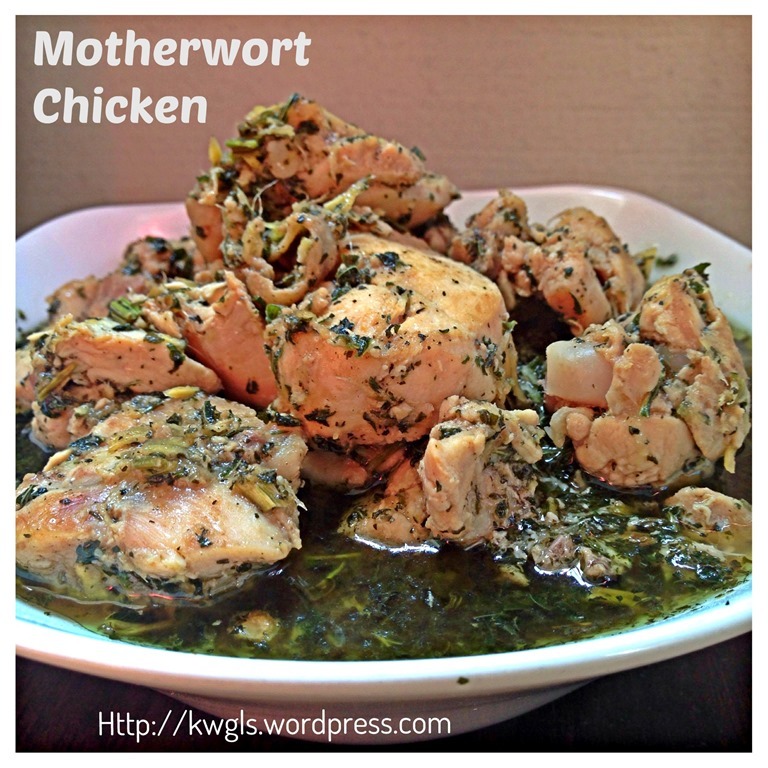 This entry was posted in Food Preparation Series, Meat Dishes and tagged 8, confinement dish, 益母草姜酒鸡, GUAI SHU SHU, Guaishushu, kacangma, kenneth goh, motherwort, postaday, Sarawak confinment dish, Sarawak kacangma. Bookmark the permalink. 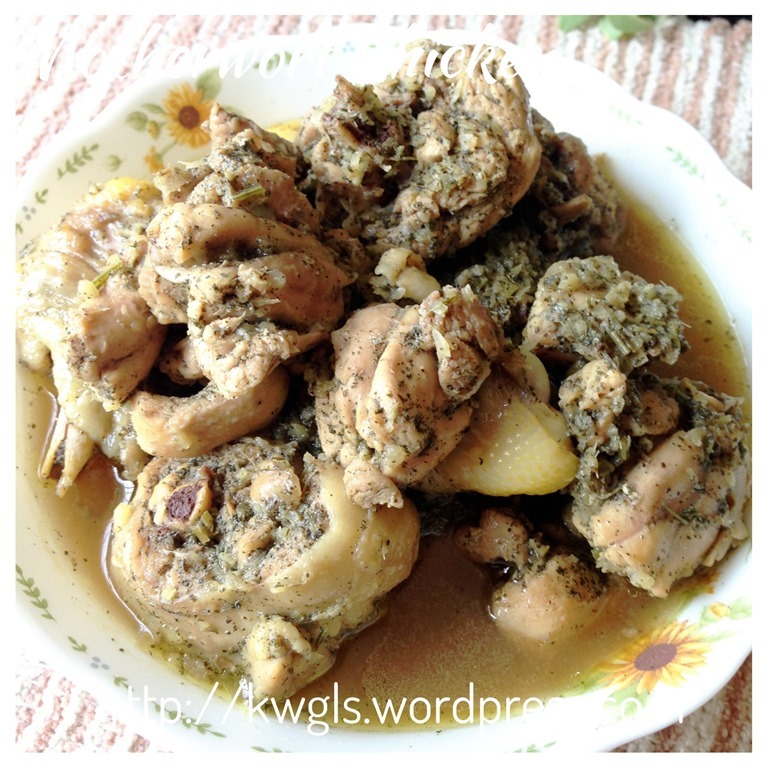 Your kachama well cooked with clear soup. 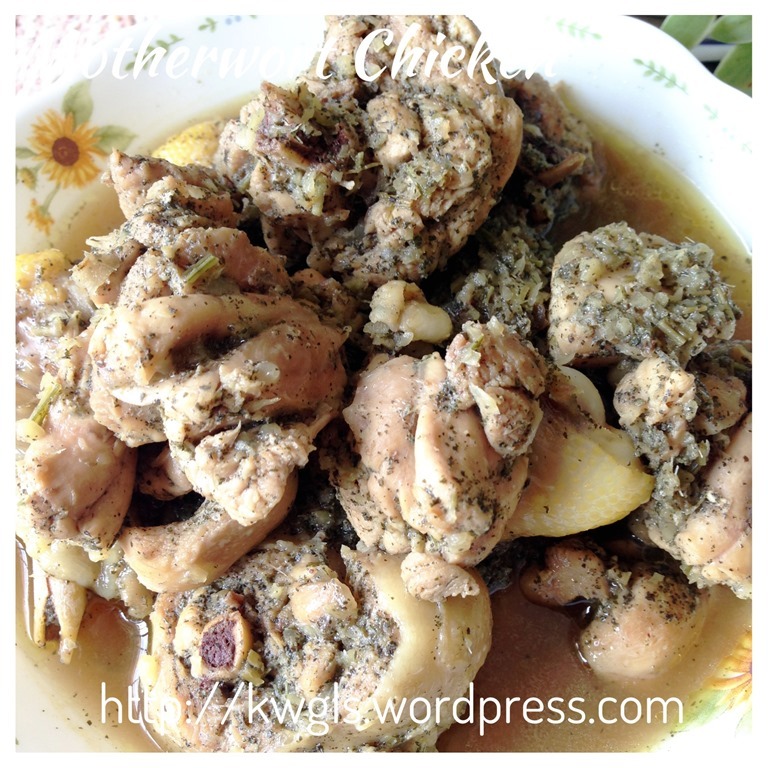 Nothing worse than eating kachanma with murky soup and the leaves pounded to fine paste/like tea dust. Hakka cook the best kachanma – steamed just after a quick saute. Hi! I came across this post when I was googling for kacang ma recipe. Very very helpful for me as I am going thru my 37 weeks now and need to learn to do this or at least teach someone I love to do this for me. 🙂 Thanks a bunch!! Oh nice blog by the way. Remember for real confinement dish, no water , either ginger juices, juices from chicken or cooking wine.. I go to Kuching often n found kacangma paste in the supermkt. 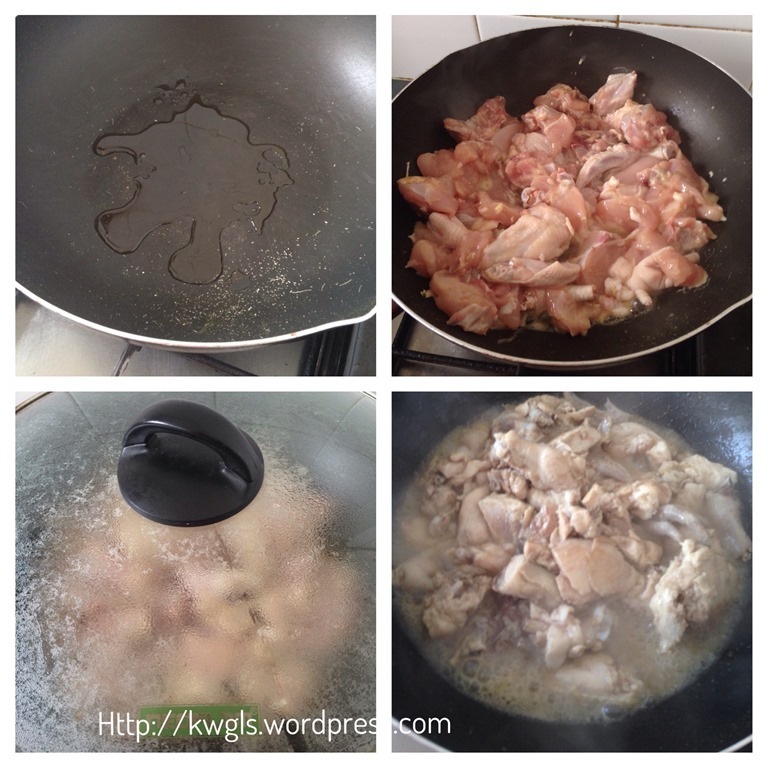 Asked around n found many versions of kacangma chicken. this trip i manage to buy the kacangma in a chinese health shop. Owner also taught me how to cook the dish. Then i goggle n found out even more. Going to cook this for my 85 yr old mother with less wine. I am a vegetarian, would substitute chicken with chinese mushroom n black fungus. Use mushroom stock n siew heng wine. Let u know what this fish will turn out. 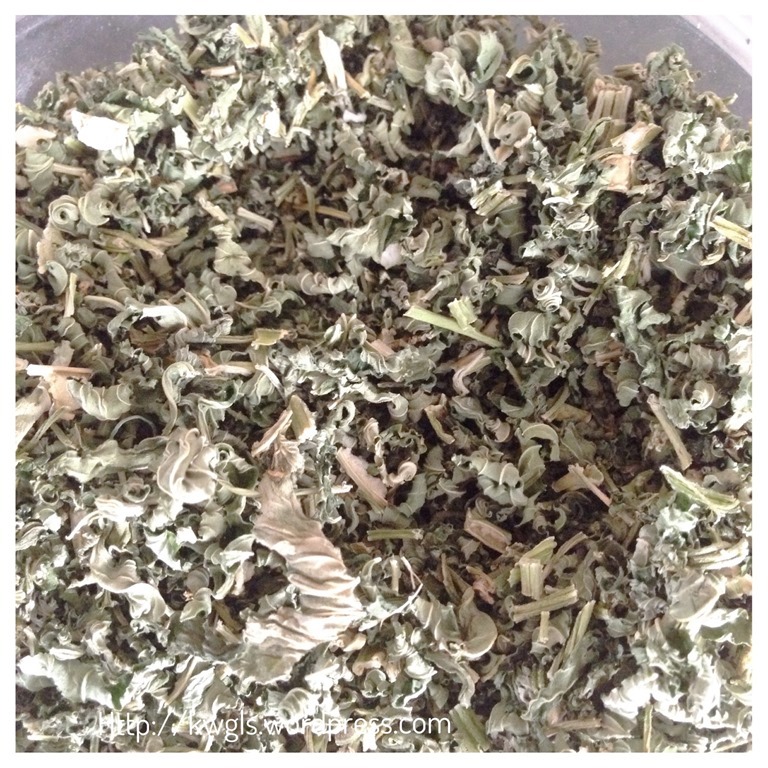 where can buy the herbs in Singapore?